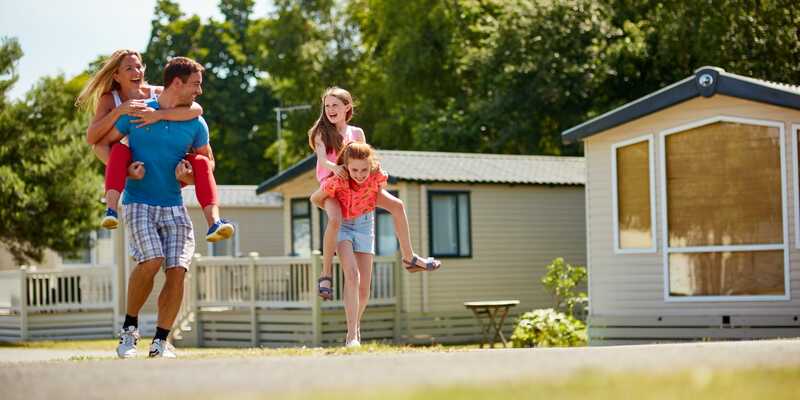 They may not be quite so obvious, but in fact there are over 150 holiday parks which offer traditional cottages for hire amongst the more familiar caravan holiday homes and lodges. In some instances, these have been purpose-built to sit alongside the other types of accommodation on the park – whilst others may be specially converted from older properties, sometimes former farm buildings. Sizes will, of course, vary – but you will always be assured of a well cared-for property, fully equipped and comfortably furnished for a relaxing holiday. What should I expect to pay for a stay in a cottage? Prices, of course, vary from park to park, but even in high season you could easily pay less than £500 for a whole week’s rental. That, remember, is the price for everyone, and most cottages will comfortably accommodate six or more people. Top-graded parks in popular areas can top £1000.00 per week during school holiday periods. On the other hand, you could enjoy a long weekend in a cottage in spring or autumn for £400.00 or even less for the whole family. You can browse this website specifically for parks with holiday cottages in the area you are intending to visit. There are over 150 such parks in total, so just click on the cottage search to begin.